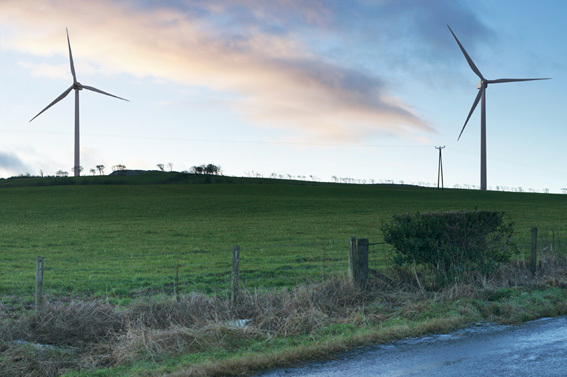 Although not directly in the Straiton area a proposal to erect 2 turbines at 125.6m high in nearby East Ayrshire has been submitted. Like some of the developments near Straiton the turbines would be alarmingly close to homes, 5 properties are within 750m. It is clearly visible from A713, a main tourist route into this area and to Straiton. It would be visible from parts of Rankinson and Littlemill but the developer regards this as ‘moderate’ – somehow I doubt the residents would agree with this. Situated on Landscape Character 17a (Foothills with Forest and Opencast Mining) but within 600m of East Ayrshire Lowlands (7c) which the developer acknowledges would suffer significant effects. The East Ayrshire Landscape Capacity study states that these Lowlands would have a “High sensitivity to large typology“. Shadow flicker is expected to affect 8 properties. The developer mentions they would remove this effect entirely by ensuring the turbines would not operate when the shadow flicker would occur. This is welcome but why erect turbines so close to properties when they have to be switched off for long periods? Perhaps the developer should have chosen a more appropriate site. To blight so many homes and make no real significant contribution to the Government’s targets on renewable energy seems just plain wrong. As many of you will have heard, yesterday afternoon (strangely coinciding with the opening of the Commonwealth Games which naturally the media and press will be focused on for the next few weeks) Dersalloch Windfarm – approx 2km East of Straiton, was approved directly by Scottish energy Minister, Fergus Ewing. The article regarding this decision can be viewed here. After a 7 year battle which amassed close to 5000 objections (including objections from the Planning Authority – South Ayrshire Council), this has come as a particular blow, not only to the community of Straiton who are threatened by 5 developments all within a few kilometers of the village itself, but also the East Ayrshire communities of Dalmellington and beyond who have been striving so passionately to protect their programme of regeneration and tourism. 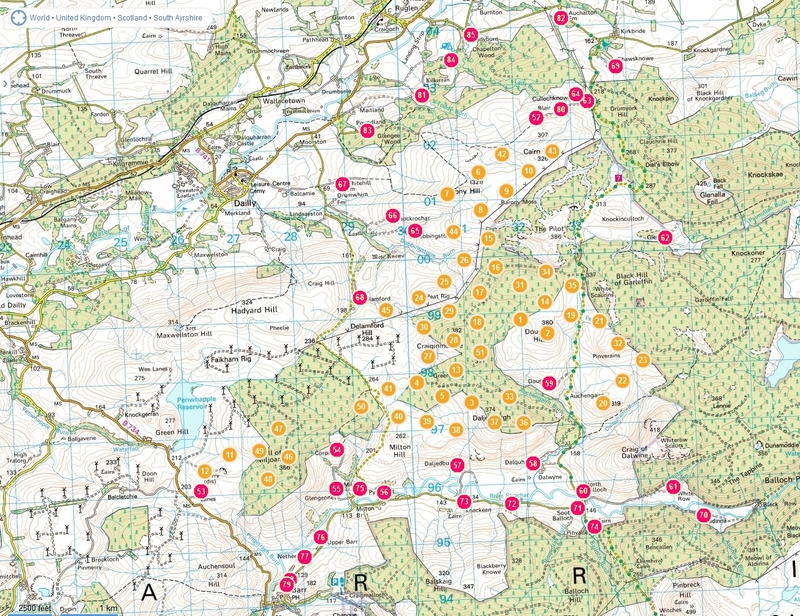 Be assured there will be questions asked and updates to follow – SSfS were repeatedly informed that this application would be going to Public Local Inquiry (PLI), at which point it would be given a full and proper review taking account of post 2005 changes in planning and landscape policy, cumulative impact, and the application itself in terms of access and location of turbines. It appears however, as can be seen from the Scottish Government decision letter, that there is a convenient ‘clause’ in the Electricity Act (see page 6), essentially meaning that the objections from South Ayrshire Council, did not in this case automatically trigger a PLI. In addition to this PLI clause – the 4723 objections do not appear to have any bearing on the decision. It might be pertinent at this point to roll the clock back 18 months to a point where the national press was questioning the continual waiving through of windfarm applications despite 10,000 objections having been recieved directly by Scottish ministers (at that point between 2008 and 2013). A report in the Herald at the time quoted a representative for the Scottish Government saying “Scotland has open, inclusive and transparent planning processes which give the right protection to our magnificent landscapes, and which takes the views of local communities into account.” At SSfS we are struggling to reconcile yesterdays ‘under the carpet’ announcement with this ‘open inclusive and transparent’ planning process. Surely a PLI would have been the only way forward if the process was all of these things? Whilst we gather our thoughts and get our heads together to discuss the next steps, please take some time to read the decision letter and feel free to let us know your thoughts on this issue. Be assured as soon as we have gathered a bit more info and got some more detail we will let you know. This weeks Carrick Gazette has highlighted the SSfS on-going campaign to fight the completely inappropriate Linfairn Windfarm. To view the article please click here. This is in response to the announcement that Investment Bank led WilloWind Energy will be holding more public exhibitions and submitting an addendum to their initial proposal for 25 turbines, reducing the number to 19. In response to Mr Atwal – SSfS can be clear that the 6000+ objections lodged with the ECDU were not just relating to the 6 turbines which Willowind propose to remove, but the scheme in its entirety. The removal of 6 turbines, was only one of many critical comments made by SNH when they responded to the proposal (please click here to view the full response). But what about the numerous other valid objections that were made in relation to this proposal In addition to those made by SNH? If WilloWind and its consultants had bothered to read these and actually ‘listen’ to the local community, the politicians, the planning, landscape and noise consultants, then they would not even be attempting to come back into this village and they would understand why “…the Chair of the Save Straiton for Scotland campaign group has chosen to criticise our revised proposal…”. Please be clear about one thing Mr Atwal – If you would like to win over this community and undo the damage caused by your previous windfarm submission, we can offer some advice – the only revised proposal SSfS and this community will willingly accept is no proposal.